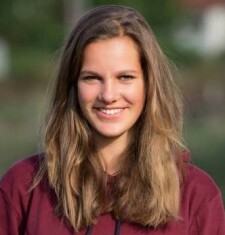 I am Nora Bergner and I enjoy every minute in nature, especially with doing sports. My main activity with the Pangaea Project has been the Serbia Project in 2013. With 6 other Pangaea Project members we organized an Ecocamp in Tara National Park to show Serbian kids the beauty of their country and to motivate them to start environmental projects. The experiences in Serbia are a big motivation to contribute as a board member in 2014.